Crispus Allen is a disembodied spirit forced to wander the Earth. He reflects upon the events, which brought him to his final fate – the night that police officer Jim Corrigan shot him in the back in cold blood. Crispus attends his own funeral and views his family mourning over their loss.<br />Later, the unfettered Spirit of Vengeance known as the Spectre approaches Crispus and offers him the opportunity to bond with him, and take up his holy mission. 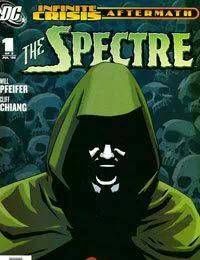 Crispus refuses, but the Spectre gives him one year to make his final decision.